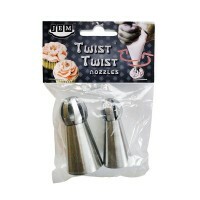 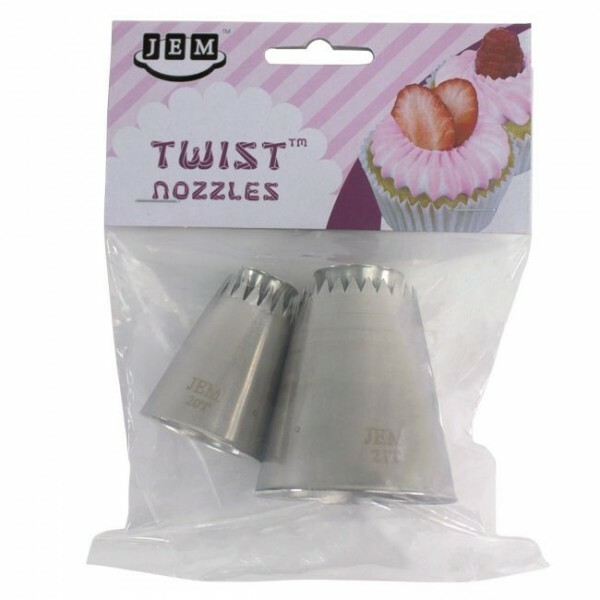 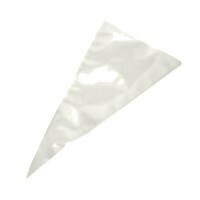 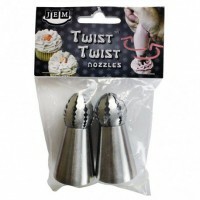 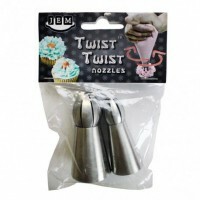 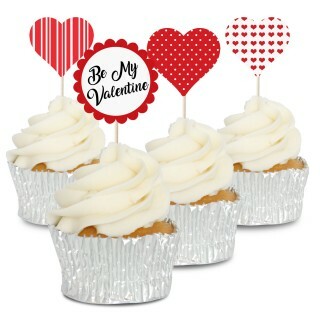 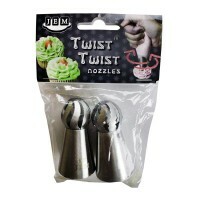 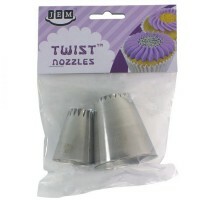 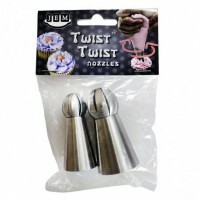 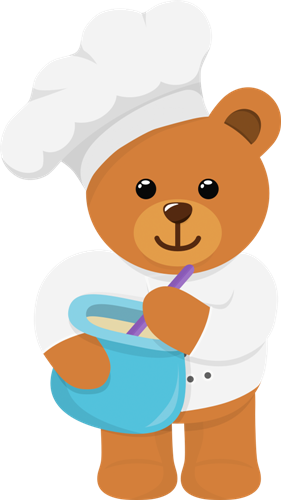 Twist nozzles are ideal for piping buttercream or royal icing for topping cupcakes or as cake decorations. 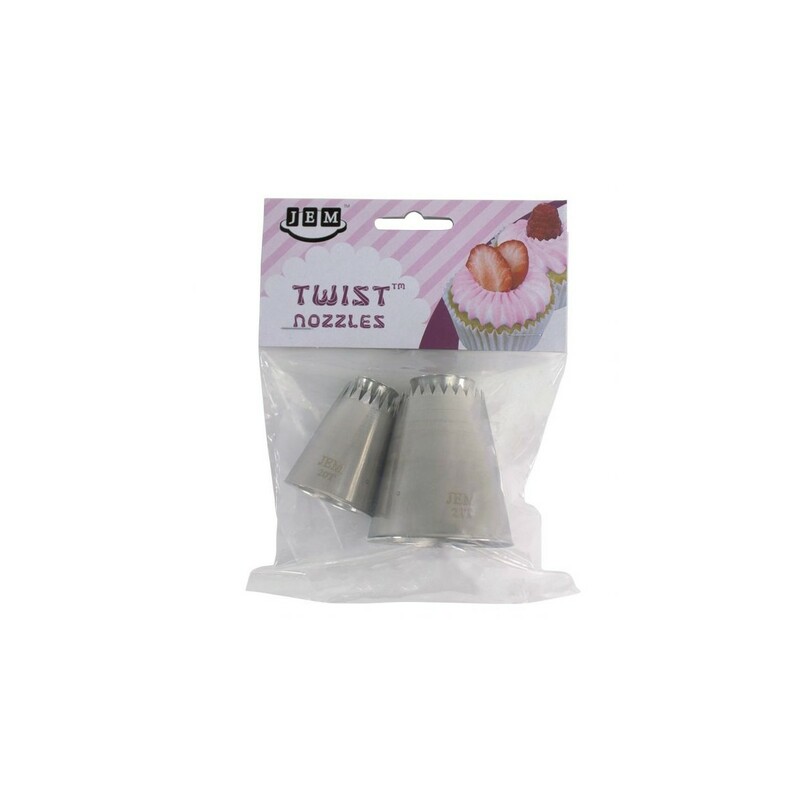 They give the effect of a hollow star design to which you can add other decorations, i.e, silver balls, or add a different coloured piped centre. 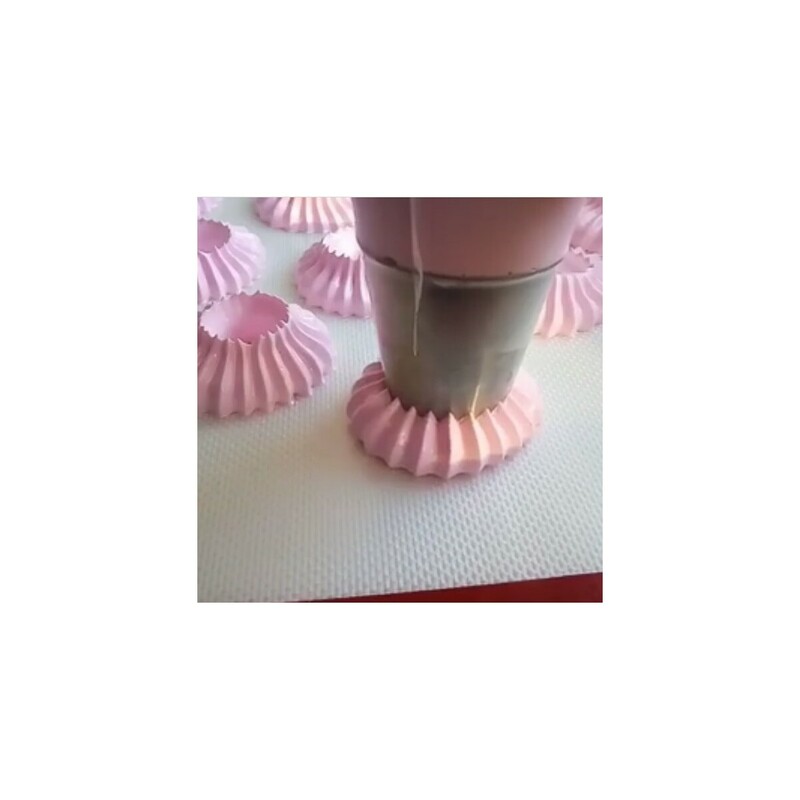 The effect is similar to a Gerbera flower.